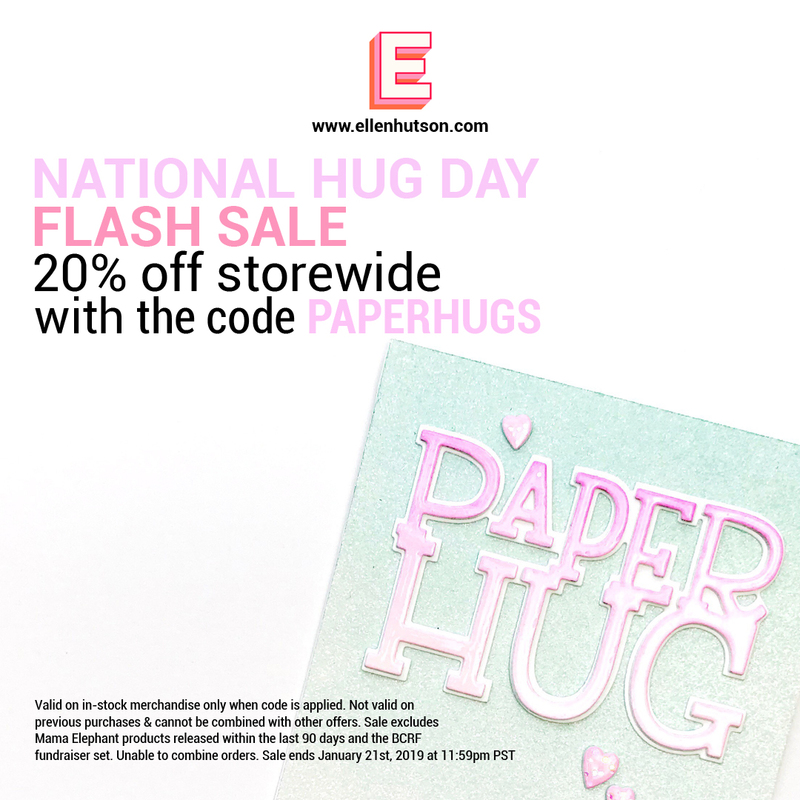 National Hug Day Sale at Ellen Hutson! Hey hey did you hear? It’s National Hug Day! There must be a day for everything, right? 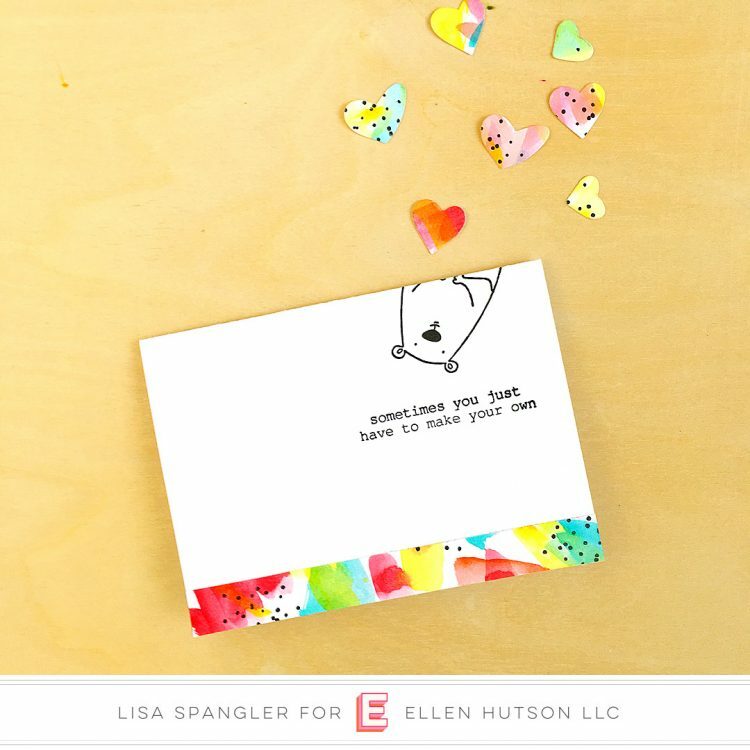 Well, this is an extra special one because you also receive 20% off your purchases at Ellen Hutson with code PAPERHUGS — yeah! I kept the front super simple with the bear peeking down, and then went to town on the inside — I got the inspiration for this from the name of the stamp set itself! And then! 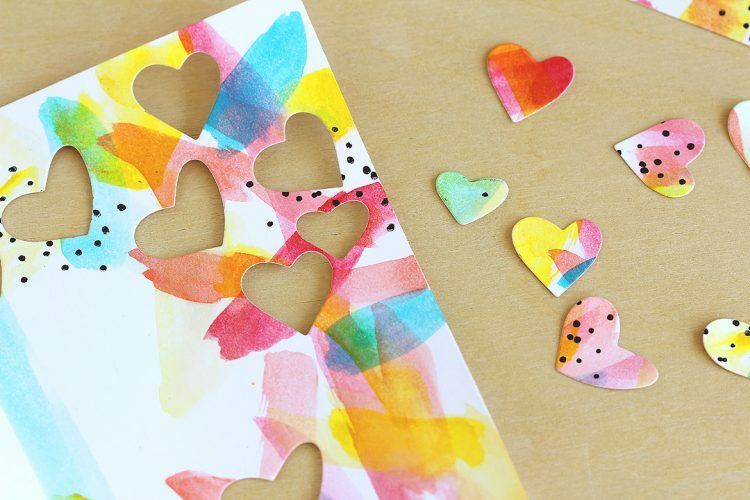 Of course I had to make a little heart confetti using the hearts from the matching All Inside Dies! Sometimes I like my scratch paper almost better than the project itself and I can’t bear to throw it away! Do you do that? 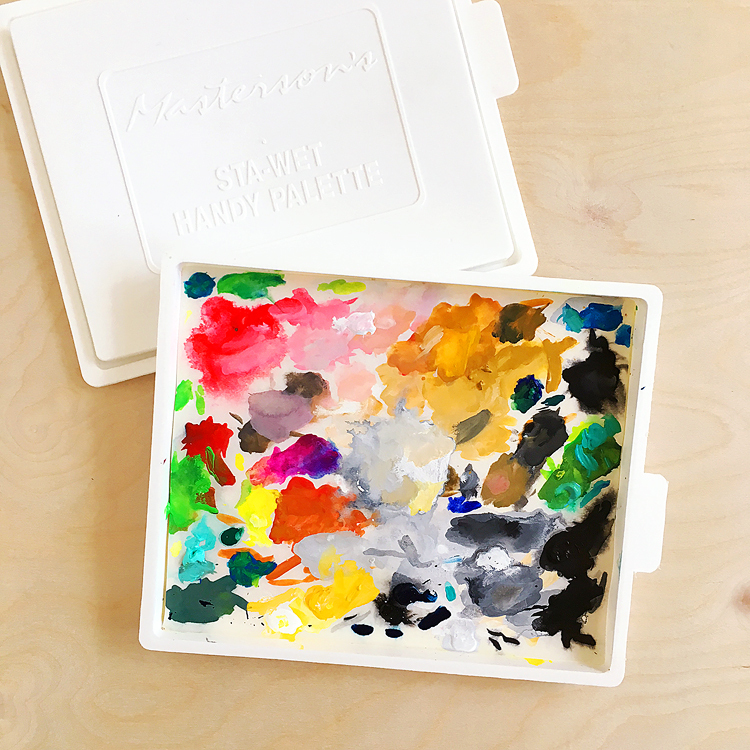 I just added some little black dots from the Essentials By Ellen Abstract Paint Strokes set — another fave! Oh and there’s a matching strip of paper on the front of the card to tie it all together! Note that these are my affiliate links so if you make a purchase by clicking the link below I’ll receive a commission at no charge to you — thank you! Also! 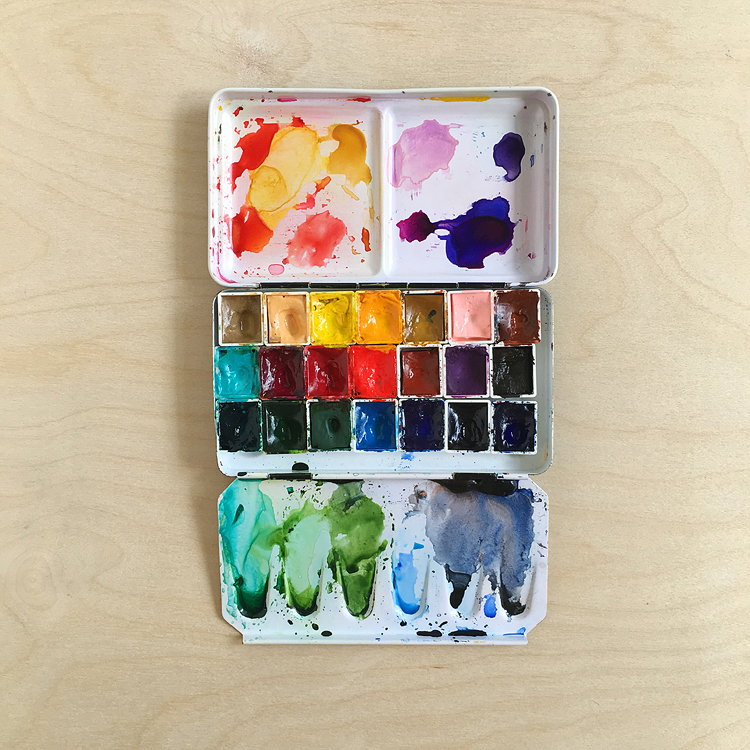 If you don’t already have the Daniel Smith Essentials set now is the perfect time to take advantage of the PAPERHUGS sale and snap one up — you won’t regret it! Check out my full review of this set here.